We rely entirely on volunteers to keep our space running smoothly. Our team is responsible for facilitating classes and workshops; managing advertising, marketing and public relations; overseeing community outreach; and performing essential administrative tasks like bookkeeping, graphic design. Our success is dependent on the dedication and experience that volunteers bring to FRANK, and we're always on the lookout for anyone interested in offering their time and/or expertise, either on a regular basis or just occasionally. 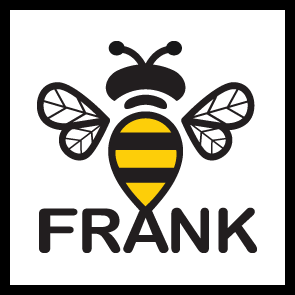 If you would like to talk to someone about volunteering at FRANK, we'd love to hear from you! Donations are vital to the future of FRANK. No matter how big or small, your generous donation helps us with the everyday costs of keeping our doors open to the public, and is very much appreciated. Please feel free to contact us to find out more about how you can support us, or visit our gallery in person to make a contribution. Being a supporting member does have its perks, including discounts on classes and workshops. Fee: $25 Paid annually – Due July 1st. Paid by General & Residential Members. It is required that people who regularly attend FRANK become general members. General members are notified and invited to FRANK functions, classes, exhibitions, social art nights and other FRANK activities, at discounted cost. General members also received 25% off classes and workshops. Residential members pay monthly “rent” due 1st day of the month (in advance). Full Residential*: $25 per week ($108 per calendar month). Full time access to FRANK, storage of art materials. 25% off classes and workshops. No charge to attend FRANK functions & activities (unless noted). 10% off Tai Chi class pass. (class on Mondays 9.30am). Part Time Residential*: $15 per week ($65 per calendar month). 2-3 days access per week, storage of art materials. 25% off classes and workshops. No charge to attend FRANK functions & activities (unless noted). 10% off Tai Chi class pass. (class on Mondays 9.30am). Casual: $10 per week ($43 per calendar month). 1 day access per week & some storage. 25% off classes and workshops. No charge to FRANK functions and activities (unless noted). 10% off Tai Chi class pass. (class on Mondays 9.30am).